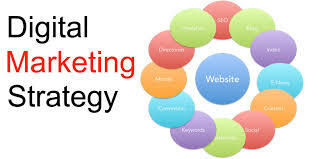 Digital marketing techniques never rest on standalone practices; rather interchangeably follow a wide spectrum of diverse modules, such as Search Engine Optimisation, Search Engine Marketing, Content Marketing, Social Media Optimisation, and Email Direct Marketing Techniques, among others. SMO-Made-to-measure ad campaigns targeting right audience using a relevant set of keywords. Website Development-Develop PPC and SEO Compliant website within a week. SEO Services- Meticulous domain analysis, on page & off-page. Responsive websites- Truly customisable and responsive website festooned with quality content, colours, themes, graphics, navigation, layout, images etc. to help you communicate your business messages effectivel. Campaign Management- We build an extensive reach to your target customers through online listings, emails and other marketing tools, galvanising neutral stand of your customers into positive feedback for better results.